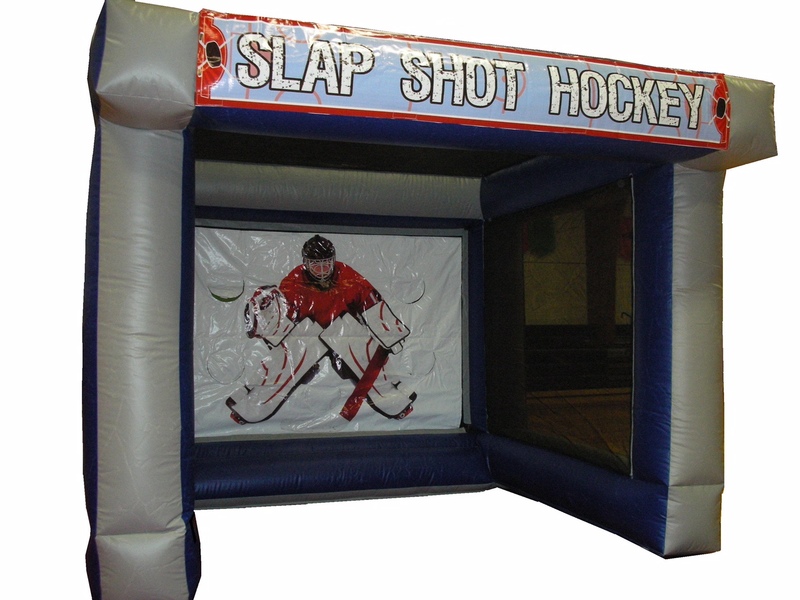 The inflatable slap shot hockey is great for hockey fans! One or more persons can compete to try to get the ball past the goalie (into the holes on the back wall). Includes easy scoring system!